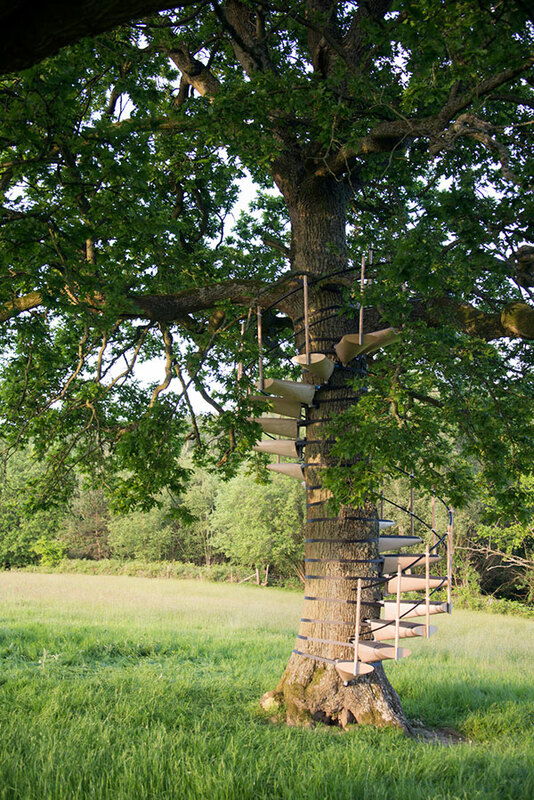 A modular system of steps that can be attached to a tree and adapt to its uneven surfaces without damaging it, allowing one to walk up to the canopy above. 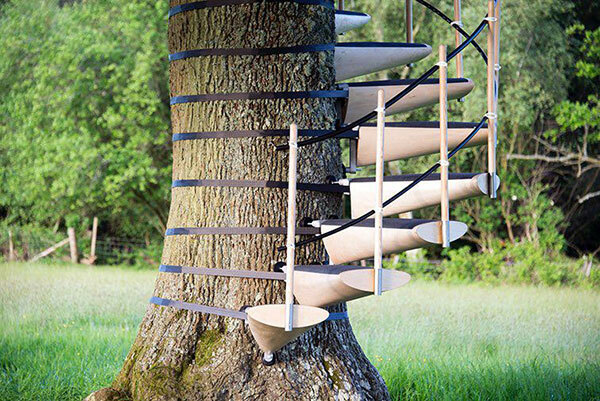 CanopyStair was conceived by designers Robert McIntyre and Thor ter Kulve during a stay in the Azores. 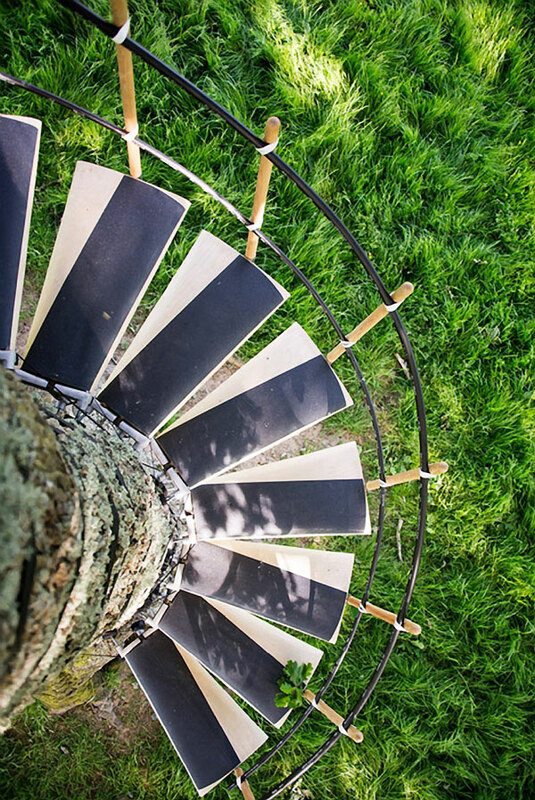 The home they were staying at near the seashore was surrounded by a stone wall and the only way to see the sun setting was to climb a tree. 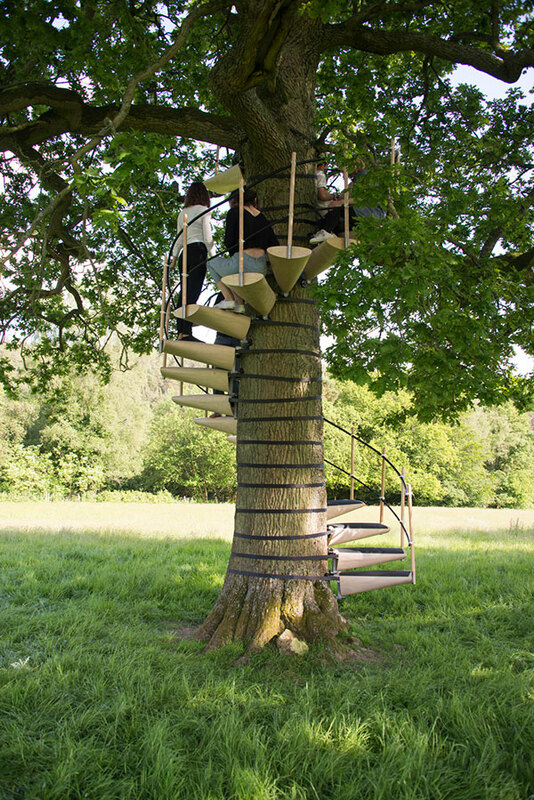 They discussed ways to transforming a garden tree into a staircase and so CanopyStair was born.